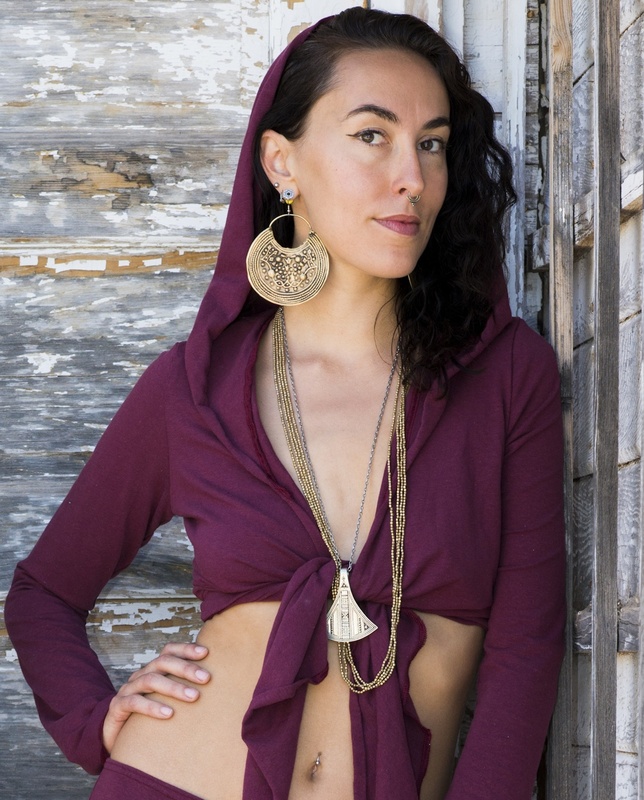 Our Sweater Wrap with Hood is for those of us who just love the look and feel of our signature Aum hood! Here it crowns our Aum Sweater Wrap, adding yet more ways to wear this super-versatile piece. Features: Tie it high or low, front or back, hood up or down…all the features of our Aum Sweater Wrap, plus our generous Aum hood. There are so many ways to express the Goddess within!